LA JOLLA, CA—When a massive Zika virus outbreak swept through South and Central America and the Caribbean in 2016, thousands of children exposed to the virus during pregnancy were born with severe neurodevelopmental problems. Although new infections have since drastically declined, researchers around the globe are racing to understand the interactions between the virus and its host, and most importantly, to develop a preventative vaccine. The latest study by researchers at the La Jolla Institute for Immunology (LJI) and their collaborators provide the first in-depth characterization of the body’s cytotoxic T cell response to Zika, which plays an important role in providing protective immunity against Zika. By revealing that Zika induces a fully functional cytotoxic T cell response, their findings provide a valuable snapshot of what a protective immune response to a potential vaccine should look like. 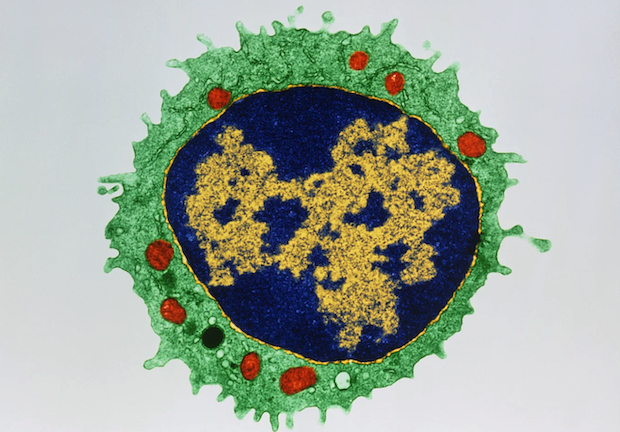 When a virus invades a host, some T cells help stimulate antibody production. Others, known as cytotoxic T cells or CD8 T cells for the CD8 molecule on their surface, kill virus-infected cells either directly or through the production of cytokines that signal other cells. Once the virus has been fended off, a small number of so-called memory B and T cells persist and can be reactivated at a moment’s notice and fend off a new infection before it can gain a foothold. Vaccines harness the immune system’s ability to retain a “memory” to stimulate long-term protection by presenting inactivated viruses or virus components to the immune system without causing an active infection. T cells help coordinate the body's immune response and kill compromised cells such as malignant or virus-infected cells. 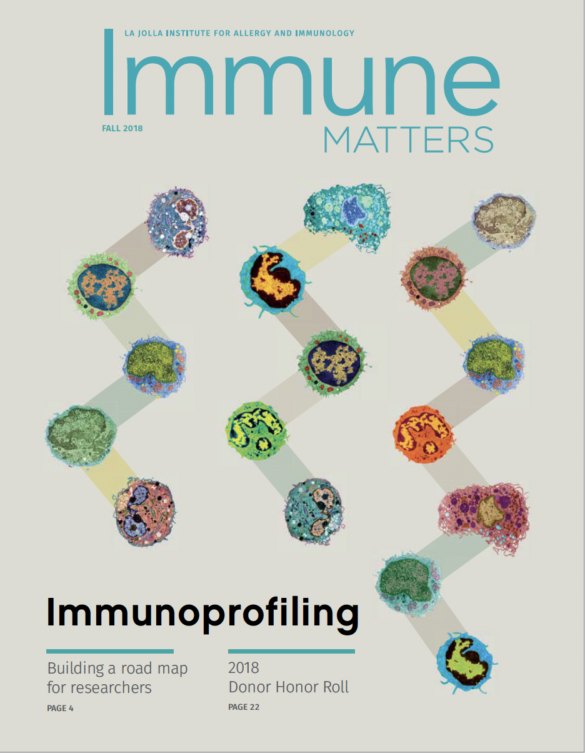 Recent advances in technology and data analysis allow scientists to study the activity of these immune cells across diverse populations around the globe to trace the markings of a successful immune response in great depths. With funding from the Human Immunology Project Consortium (HIPC) and additional support from the Zika Preparedness Latin American Network (ZikaPLAN), the LJI team expanded ongoing immunoprofiling efforts for the first time to Zika-specific CD8 T cells. The isolation of Zika-specific T cells from the blood of previously infected individual had been made possible through earlier epitope identifications efforts funded through the NIH’s T cells Immune Epitope Discovery contracts. Specifically, the researchers collected blood samples from convalescent Zika-infected donors in Puerto Rico and compared gene expression patterns between activated and inactivated CD8 T cells. “The gene expression profile revealed a fully functional T cell response that includes the capacity to kill infected cells and the secretion of cytokines answering the question whether the immune system can mount an effective CD8 T cell response to Zika,” says postdoctoral researcher and first author Alba Grifoni, Ph.D. Since the samples were taken when the tested individuals had already recovered from their Zika infection, the measured immune response reflects at least to a certain degree the memory response, which is directly relevant to vaccination. “It informs what a protective immune response should look like and provides a baseline to establish the efficacy of vaccine candidates,” says Grifoni. The work was funded by the National Institutes of Health through contracts HHSN272200900042C, HHSN27220140045C, HHSN268201100001I, grants U19 AI118626-01, S10OD016262, S10 RR027366 and S10OD016262. Further support was provided by the Zika Preparedness Latin American Network, which has received funding from the European Union’s Horizon 2020 research and innovation program under Grant Agreement 734584. Blood donor samples from Puerto Rico and Florida were collected as part of the National Heart, Lung, and Blood Institute Recipient Epidemiology and Donor Evaluation Study-III.